Nintendo's first 3D adaption of 'The Legend of Zelda'. 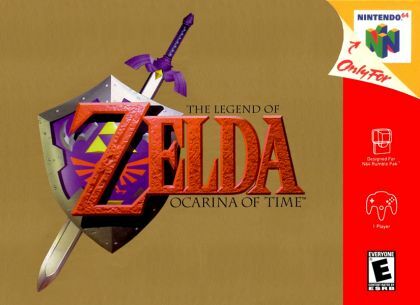 This is a very large game on the N64 with alot of dungeons and lands to explore. You have to fight, discover, talk and unravel mysteries surrounding all the temples. You even get to travel in time.